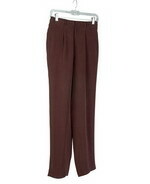 Womens' fuji silk trouser (unlined). 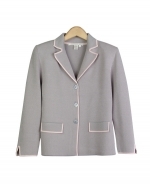 The silk trouser matches its silk blazers & jackets. 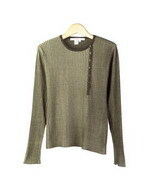 Women's 100% spun silk shirt w/ yarn-dye mini-checks pattern. 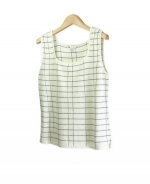 An easy-fit checks pattern silk shirt. 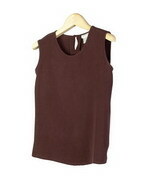 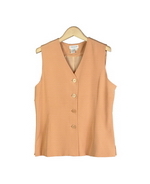 Ladies' fuji silk V-neck sleeveless vest. 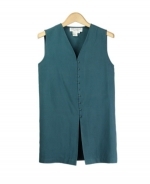 This sleeveless vest matches its fuji blazers & trousers. 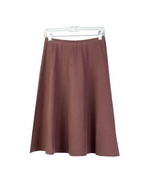 Women's fuji silk skirt, straigt classic fit (lined). 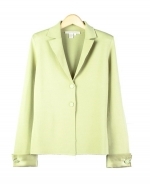 The skirt matches its silk blazers & jackets. 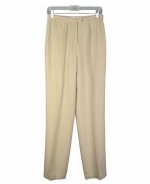 Women's fuji silk trouser (unlined). 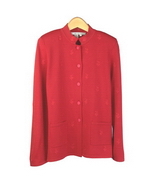 The silk trouser matches its silk blazers & jackets. 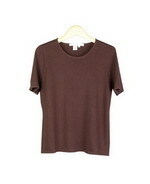 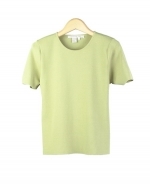 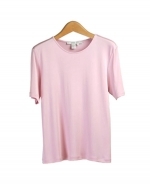 Washable 100% silk shirt in round neck short sleeve tunic style. 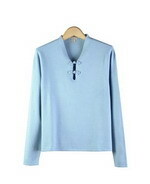 An easy-fit tunic silk shirt. 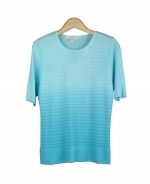 Viscose/rayon jewel neck short sleeve sweater in dip-dye w/ shadow stripes design. 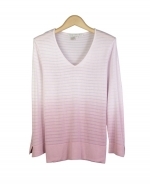 Viscose/rayon V-neck 3/4 sleeve sweater in dip-dye w/ shadow stripes. 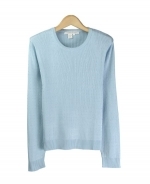 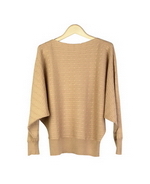 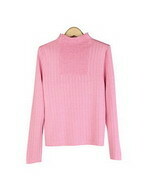 A novelty knit 3/4 sleeve. 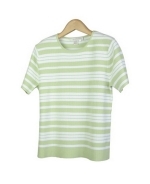 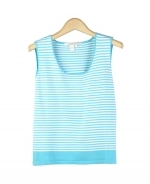 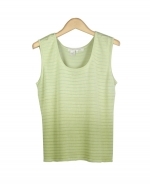 Ladies viscose square neck sleeveless shell in dip-dye & shadow stripes. 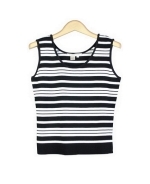 A novelty sleeveless shell. 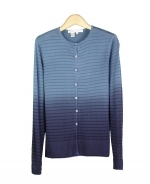 Viscose/rayon jewel neck long sleeve cardigan in dip-dye w/ shadow stripe design. 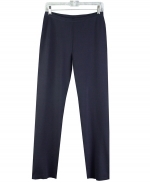 Washable heavy weight silk trousers w/ front pleats (unlined). 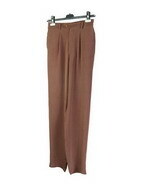 This trouser matches its silk shirts. 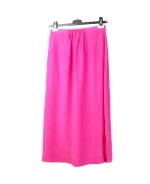 Washable heavy weight silk long skirt (unlined) has side slits. 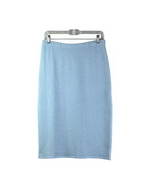 The skirt matches its silk shirt. 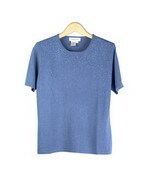 Silk/nylon V-neck sweater in short sleeve w/ engraved embroidery. 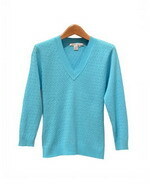 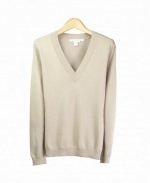 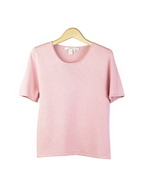 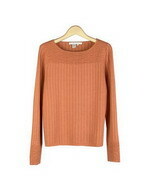 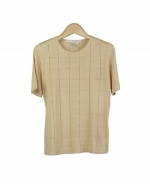 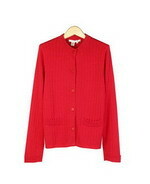 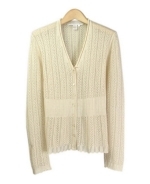 A novelty design V-neck sweater. 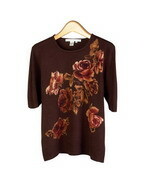 Ladies silk/nylon split-jewel neck 3/4 sleeve sweater w/ engraved embroidery. 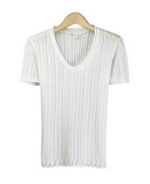 A fine knit sweater. 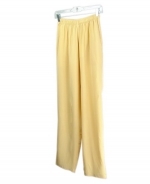 Ladies' washable woven silk linen trouser w/ elastic back waist. 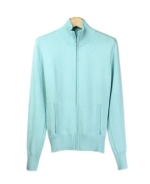 This trouser matches its shirts. 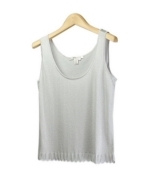 Ladies' washable silk linen shorts w/ elastic back waist. 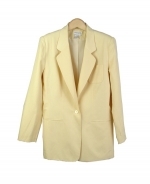 The shorts matches the shirts & jackets. 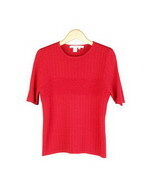 Viscose Nylon Full Needle Jewel Neck Short Sleeve Fine Knit Top. 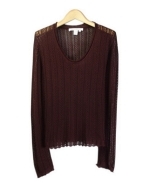 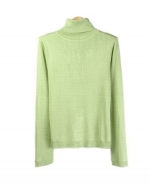 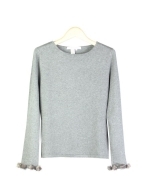 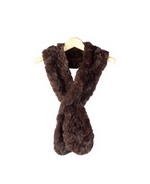 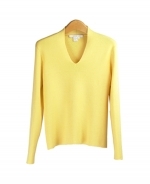 Silk/Cotton/Cashmere w/Lycra Flat Knit Funnel Neck Sweater with Mink Pom-pom and Key hole. 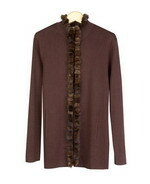 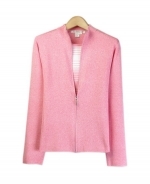 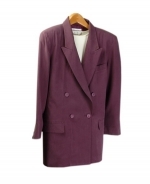 Silk Cotton Cashmere Coat-Jacket in Full Needle Knit with Mink Fur Pom-pom. 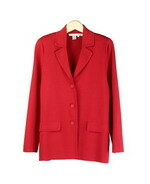 S to Plus Size 1X. 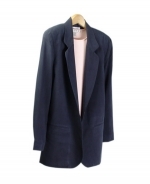 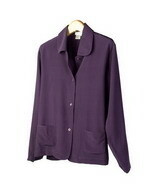 Washable heavy weight crepe silk shirt-jacket in V-neck long sleeve (unlined). 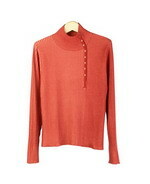 A tunic silk shirt. 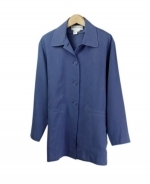 Washable heavy weight crepe silk shirt-collar jacket-look shirt. 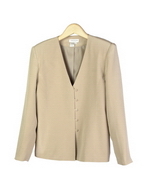 An easy-fit silk shirt jacket. 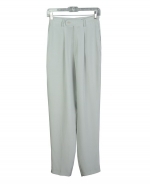 Washable heavy weight crepe silk trousers (unlined). 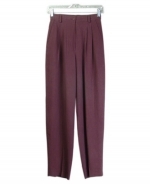 This trouser matches its silk shirts in color. 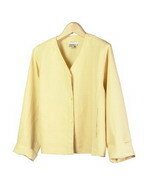 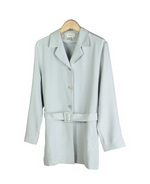 Women's silk linen shirt-jacket in round neck long sleeve. 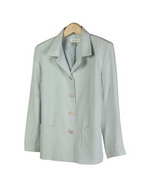 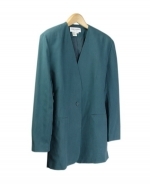 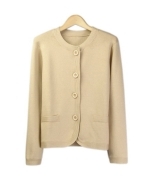 A relaxed fit silk linen shirt jacket. 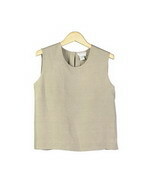 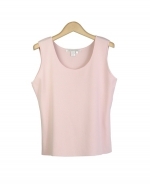 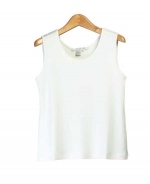 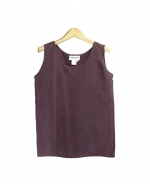 Ladies washable woven silk linen sleeveless shell in jewel neck. 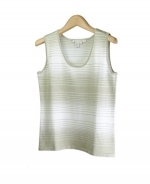 This tank matches its silk shirts. 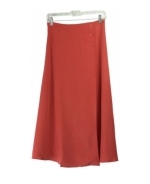 Ladies' washable silk linen long skirt w/ elastic back waist. 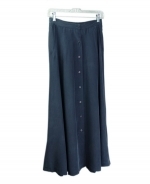 The long skirt matches its shirts. 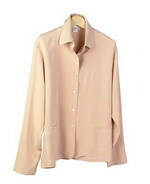 Washable 100% silk shirt, long sleeve mandarin collar. 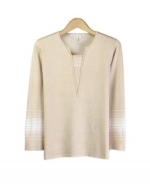 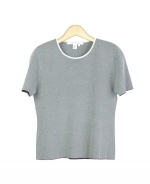 A relaxed fit tunic silk shirt. 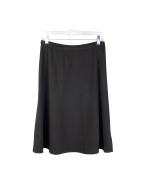 Washable silk trouser w/ side elastic at back waistband. 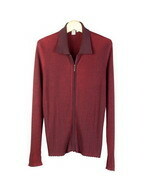 The silk trouser matches its silk shirts. 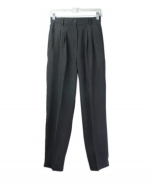 Washable silk Pull-on pants w/ elastic waistband. 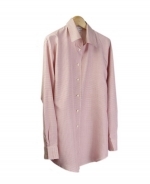 The silk pants matches its silk shirts. 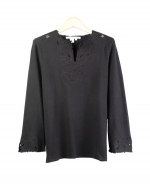 Washable 100% silk shirt long sleeve jewel neck in tunic length. 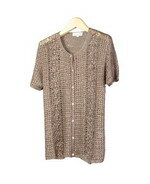 One of our popular silk shirts. 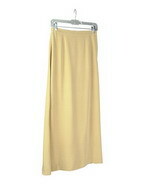 Washable silk long skirt w/ elastic back waistband. 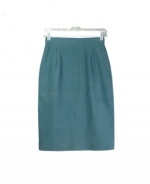 The silk skirt matches its silk shirts in color. 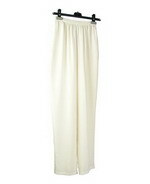 Washable silk trouser w/ elastic back waistband. 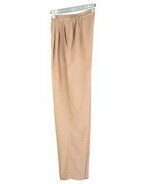 The silk trouser matches its silk shirts in color. 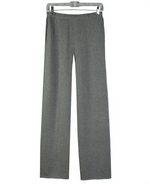 Washable silk pull-on pants w/ elastic waistband. 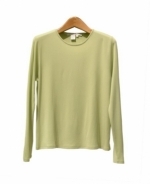 The easy-fit silk pants matches the silk shirts. 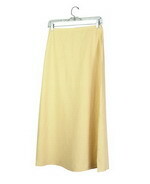 Washable silk pull-on shorts w/ elastic waistband. 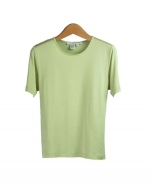 The silk shorts matches the silk shirts in color. 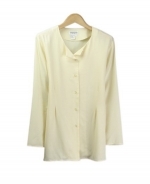 Washable 100% silk shirt long sleeve w/ piped collar style. 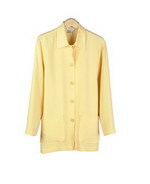 A relaxed fit jacket-look silk shirt. 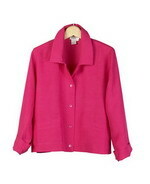 Washable 100% silk shirt blouse in jewel neck long sleeve style. 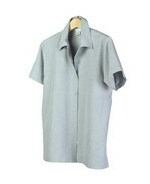 A tunic length silk shirt. 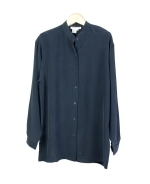 Washable 100% silk shirt in jewel neck long sleeve style. 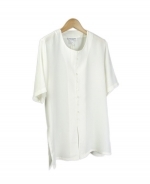 A front button down tunic silk shirt. 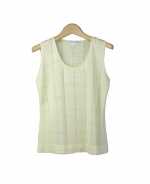 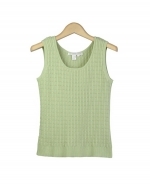 Women's 100% polyester washable crinkle patterned sleeveless shell. 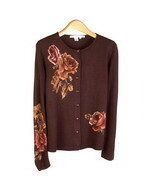 It matches its shirts & blouses. 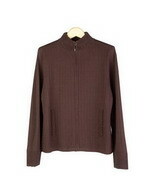 Women's polyester washable shirt blouse in jewel neck long sleeve crinkled texture style.